Dreams Do Come True ~ Happy One Year! 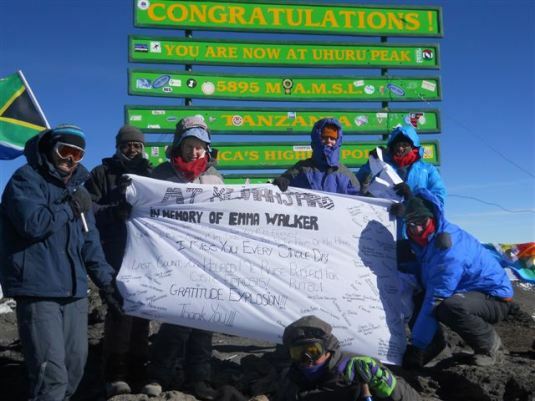 One year ago today, on the 13th July at 8:45am Tanzanian time, after years of talking, months of planning and training, I set foot on the summit of Kilimanjaro! Not only did I achieve a personal dream, I managed to raise R20,000 for those living with Cystic Fibrosis all in honour of my best friend, Emma Walker. Seven days spent on a mountain with the most wonderful bunch of people and an incredibly supportive team ensuring that everything was perfect and always ready for us so that all we had to do was focus on climbing this mountain. 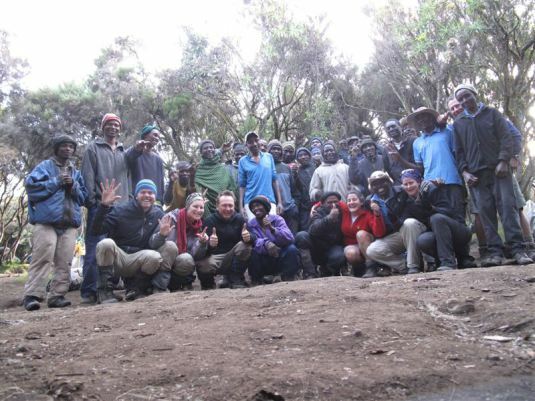 Day 5 on the mountain with our incredible team, with the summit as our background ~ it was later that night we would push for the summit. The absolute agony of 8 hours hiking through the dead of night, with the iciest unrelenting wind, the exhaustion, the biting cold, the lack of air, the longing for the sun to come up, the never-ending uphill slog. The snake of headlamps up ahead of you, completely soul-destroying when you find the strength to look up, only to see how far you still have to go. The snake of headlamps below you winding down the mountain, the joy at knowing you were higher than those still behind you. The sheer (quiet) joy of reaching Stella Point and knowing that the summit was near with just another 45 minutes to walk and oh, don’t let me forget, the sight of the glaciers on the way to the summit…! Making my way to the summit! 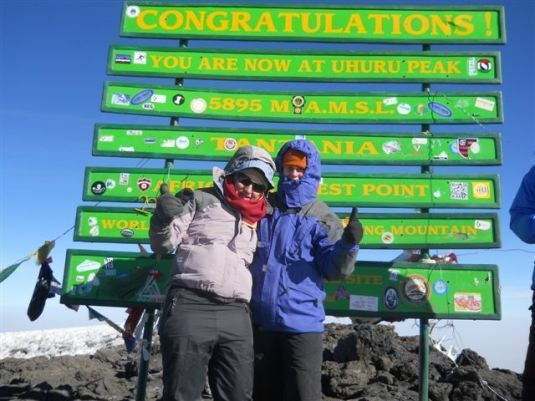 Soon after this pic was taken we would see the actual summit for the first time! 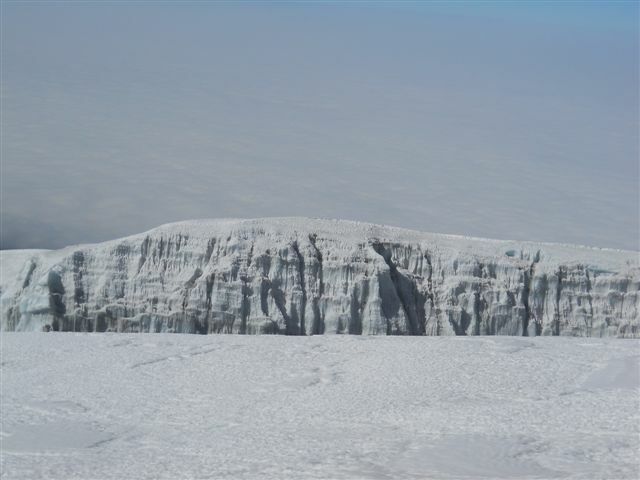 The magnificent cathedrals of gleaming blue-white ice, know as the Southern Ice field glaciers that came up on our left as we walked the last bit to the summit. That first sighting of the sign on the summit. 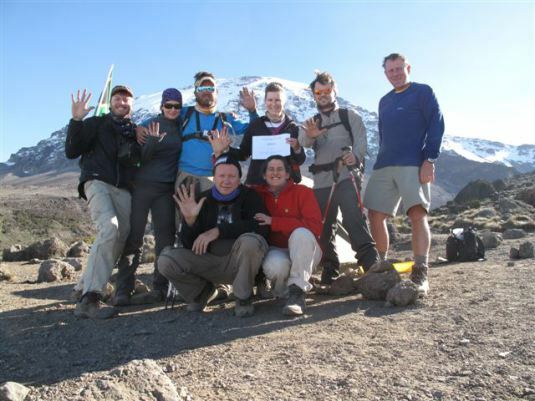 The absolute exhilaration of reaching the summit at 5895m! A joy shared with the whole team. So many moments I will never forget. What an unbelievably amazing, wonderful adventure of a lifetime! I am so blessed to have shared it with you all. Our entire team on the last day of the mountain ~ what amazing support each and everyone one of these guys gave us! The true value of mountain climbing is not measured by how high the summit really is, nor its relative position, nor its rank; but by the beauty of the climbing experience and the priceless moments shared with everlasting friendships. 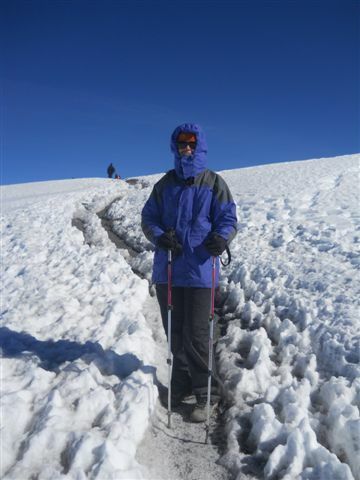 If you are new to Walking4Air and would like to read all about our Journey to the Top of Kilimanjaro click here for the full story, day by day ~ The joy, the laughter, the agony, and ultimately the ecstasy! Previous The Best Is Yet to Come Next Random Acts of Kindness ~ Happy ChooseDay!